I will be recommending my masters and doctoral students to read the book so that as practitioners they may relish the opportunity to engage with issues of knowledge production. 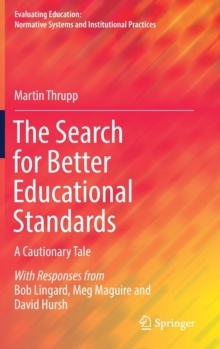 Thrupp and Willmott's book is directly relevant to every day practice in teaching and learning across the educational system, and it should be required reading for all training programmes because it enables trainees to know and understand the knowledge structures that are being used to control their work and identities. "BJES "... will stir a lot of debate and be seminal to debates about the direction of education management for some time to come." Mike Bottery, Hull University"...a genuinely readable and accessible book that critically engages with school management literature." InService Education JournalThis important and provocative book is not another 'how to' educational management text. Instead it offers a critical review of the extensive educational management literature itself. The main concern of the authors is that educational management texts do not do enough to encourage school leaders and teachers to challenge social inequality or the market and managerial reforms of the last decade. They demonstrate this problem through detailed analyses of texts in the areas of educational marketing, school improvement, development planning and strategic human resource management, school leadership and school change. 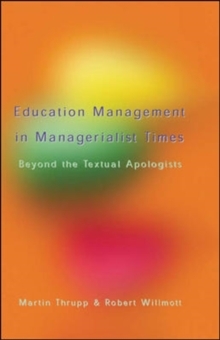 For academics and students, Education Management in Managerialist Times offers a critical guide to existing educational management texts and makes a strong case for redefining educational management along more socially and politically informed lines. 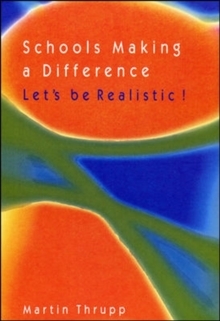 The book also offers practitioners alternative management strategies intended to contest, rather than support, managerialism, while being realistic about the context within which those who lead and manage schools currently have to work. 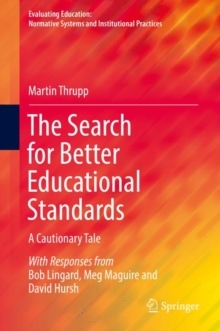 This controversial new title brings a new insight to the educational management debate.